Action: You can choose the Sydney region the next time you create a new environment on Engine Yard Cloud. We are very pleased to announce the general availability of the AWS Asia Pacific (Sydney, Australia), ap-southeast-2 region on Engine Yard Cloud. For more information, see Use Multi-Region on Engine Yard Cloud and the blog. We corrected an issue where adding new instances on an existing environment failed (you were required to also click Apply, which is not usual). The issue is now fixed with today's stack upgrade. Fixes an issue found when taking a snapshot from a recently promoted database replica (slave). Resolves an issue encountered during a takeover or when adding and instance to an environment. For more information, see Use AWS Region Australia with Engine Yard Cloud and Use Multi-Region on Engine Yard Cloud. Action: PostgreSQL 9.2 is an optional Early Access release. No action required. We are happy to announce the availability of PostgreSQL 9.2.1, which is part of our Early Access program. For more information, see the blog: A Year of Data at Engine Yard and the docs: Use PostgreSQL with Engine Yard Cloud. Fixes use of wrong MySQL adapter for Rack apps. Revises InnoDB buffer size allocations: increases for larger instances, reduces for 32-bit medium instances. Supports PostgreSQL 9.2.1 Early Access. We are pleased to announce the general availability of configuration retry. This feature can be incredibly useful when the infrastructure provider has transient network issues that interfere with an otherwise valid configuration. Config retry automatically kicks in when and where it can help. We are very excited to announce the immediate availability of Engine Yard Local, a free downloadable tool that allows you to use an Engine Yard environment running on your local machine. Using Engine Yard Local, you can develop and test applications locally and then seamlessly deploy to Engine Yard Cloud or Engine Yard Managed when you are ready. 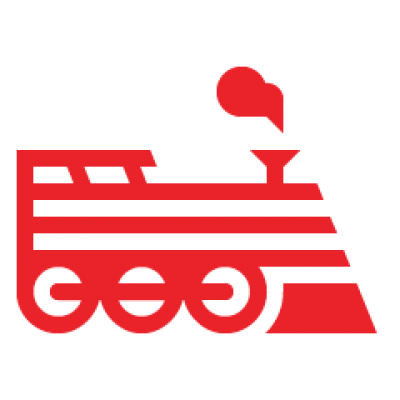 Simplify your test and development process by running a fast, fully functional Engine Yard VM, wherever you need it. Improve productivity by deploying locally - without committing to remote repositories or launching instances in the cloud. Test Chef recipes before deploying to production or staging environments. Leverage local compute resources for free, during development iterations. See Engine Yard Local 1.0 to get started with your first Engine Yard Local app. Use the Engine Yard sponsored forums to ask questions, find answers, log bugs, or suggest new features. Updates Ruby 1.9.3 to p327. This patch fixes a hash-flooding DoS vulnerability that was discovered in the Ruby 1.9 series. Patch 327 contains an upgrade to the SipHash 2-4 algorithm for hash key generation which prevents this attack vector. See this article for more information. Note: This patch does not apply to Ruby 1.9.2. If you are still using 1.9.2, we recommend upgrading to Ruby 1.9.3. Adds New Relic server monitoring for database servers. Adds HAProxy support for keep-alive without monopolizing upstream servers. Updates Redis to version 2.4.17. Adds Puma recipe support for hot deploy and multiple apps in a single environment. Fixes issue so utility servers behind single app instances now use the correct values in memcached.yml (no longer point to localhost). Note: To gain this updated memcached.yml functionality, you must click Apply each time you first deploy an app, or add a new utility instance. This is currently a known issue and will be tracked here. The real requester IP address (in log files) will work for most environments. If you have manually added set_real_ip_from and real_ip_header lines to your configurations, you should verify any changes with the addition in nginx.conf. For example, if you use CloudFlare, you might need to alter your config. Updates to use real requester IP address (in log files) by default (no longer shows HAProxy server IP). Updates Ruby 1.9.3 to p286. Updates MOTD to correct database log paths. Fixes passenger_monitor to properly handle/repair when it appears that two or more copies of Passenger are running. We are happy to announce the early access release of configuration retry. As an example, this feature can be incredibly useful when the infrastructure provider has transient network issues that interfere with an otherwise valid configuration. Once you enable the feature, it automatically kicks in when and where it can help. Configuration retry is part of our Early Access program. For more information, see Use Configuration Retry with Engine Yard Cloud.